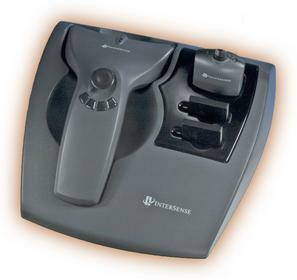 BEDFORD, MA--(Marketwire - May 31, 2007) - InterSense, Inc., a market leader in precision motion tracking technology, today announced the release of new MicroTrax user interface devices for its IS-900 inertial-ultrasonic motion tracking system. 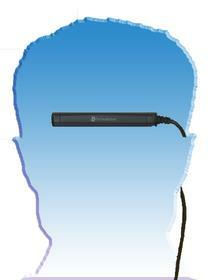 The new MicroTrax devices offer a small form-factor head tracker that facilitates the use of passive as well as active stereo glasses in 3D applications, a smaller "clip-on" power pack, an ergonomic hand-held wireless wand designed specifically for immersive display applications, an easy way to insert fresh batteries and now a docking station that provides an attractive "home" in which to store and recharge the devices when not in use. The result is convenience, comfort and elegance -- as well as accuracy -- in motion tracking for immersive displays. "We have seen a growing interest in precision tracking for passive stereo immersive display applications, particularly in the European markets," stated Patricia Katzman, Director of Product Management and Marketing at InterSense. "The slim design of the new MicroTrax head tracker enables it to be easily incorporated into the small profiles of passive glasses, allowing the IS-900 technology to serve a wider range of applications while eliminating the need for any 'head gear' at all." users to more intuitively interact with the immersive environment. easy replacement of spare batteries (included) by users. "InterSense's new MicroTrax tracking solution is critical to expanding our business to applications that use passive glasses," stated Mats W. Johansson, president of EON Reality Inc., a virtual reality application development software company. "The new devices are significantly smaller and the battery enhancements will extend their use and eliminate potential down time for our customers." Founded in 1996, InterSense, Inc. is a precision motion technology company delivering real-time positioning, tracking and alignment capabilities, which bring higher speed and quality to visual simulation and enhanced vision and navigation applications. InterSense's patented motion tracking products enable realistic interaction with computer graphics for demanding applications including simulation and training; oil and gas exploration; manufacturing; virtual prototyping and design; medical imaging; entertainment; and video/film production. Privately held InterSense is headquartered in Bedford, Massachusetts. For more information, visit www.intersense.com.